Black Veil Brides are an American rock band formed in 2006 in Cincinnati and the above is the cover artwork of their self-titled fourth studio album, also known as Black Veil Brides IV, released through Lava Records/Universal Republic Records on October 27, 2014. 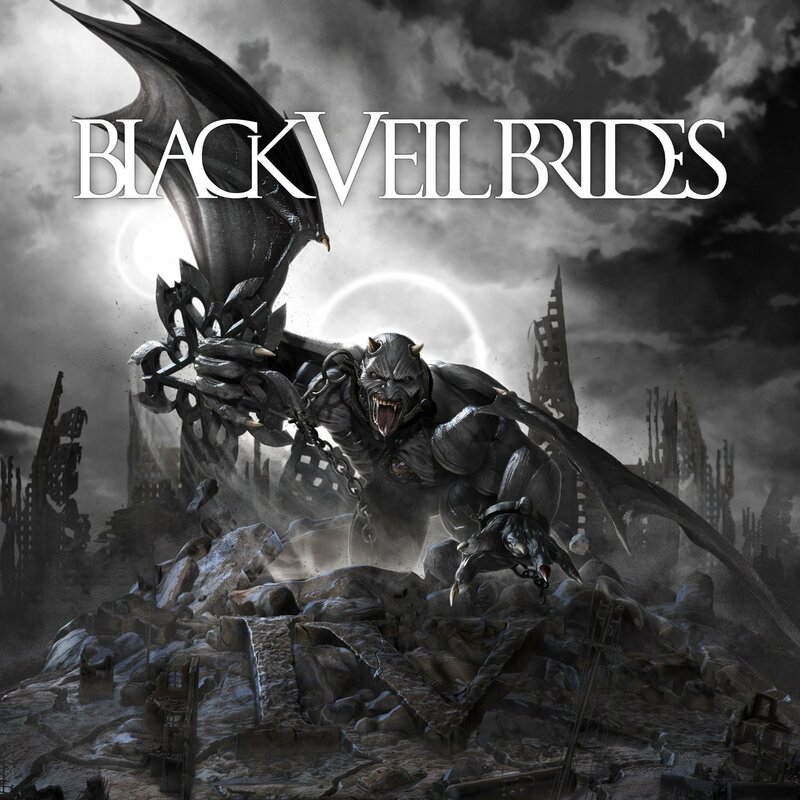 The cover art features the Black Veil Brides logo in a roman serif with letters tightly spaced. The custom designed logo is probably based on Trajan Bold, a serif typeface designed in 1989 by Carol Twombly for Adobe. The trajan itself is based on the letterforms of capitalis monumentalis or Roman square capitals, as used for the inscription at the base of Trajan’s Column. In addition to Black Veil Brides, Trajan typeface is also used in the following logos, movie posters or album covers etc., including: The Water Horse, Lincoln, Face of Mankind, Texas Chainsaw 3D, City of Angels, Courageous, The Prince of Mist, The Mummy Returns, Americano, A Beautiful Mind, Facing the Giants, Hell’s Highway, Crispin Cider Logo, Assassin’s Creed, House of Payne.